The PICO2™ is a high power, compact 3D printer for direct manufacturing of quadrant dental models and crown & bridge casting patterns. A small footprint makes the PICO2™ ideal for both the dental lab and clinic. The PICO2™ series is available in two different configurations depending on resolution and build size required. Both models benefit from Asiga’s Slide-And-Separate™ technology for maximizing precision and build speed. 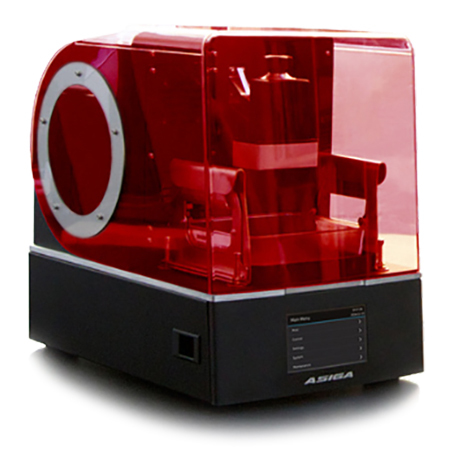 Asiga’s revolutionary SAS™ process achieves the lowest fabrication forces of any upside-down stereolithography system, resulting in minimal support structures and extraordinary accuracy.